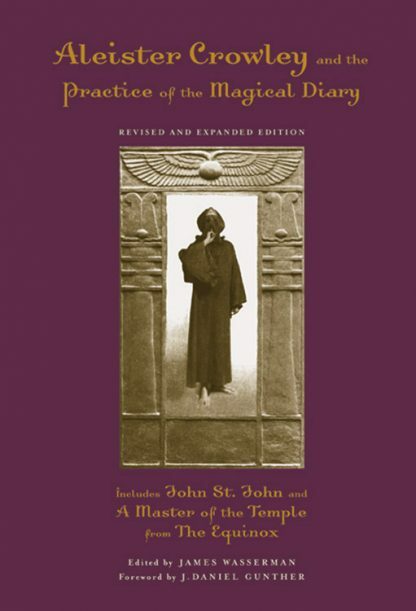 This important collection includes Aleister Crowley's two most important instructional writings on the design and purpose of the magical diary, John St. John and A Master of the Temple. These were the only two works regarding the magical diary published in Crowley's lifetime. Both were first published in Crowley's immense collection of magical instruction, The Equinox. John St. John chronicles Crowley's moment-by-moment progress during a 13-day magical working. Crowley referred to it as "a perfect model of what a magical record should be." A Master of the Temple is taken from the magical diary of Frater Achad at a time when he was Crowley's most valued and successful student. It provides an invaluable example of a student's record, plus direct commentary and instruction added by Crowley. With commentary and introductory material by editor James Wasserman, Aleister Crowley and the Practice of the Magical Diary is the most important and accessible instruction available to students of the occult regarding the practice of keeping a magical diary. This revised edition includes a new introduction by Wasserman, a foreword by noted occult scholar J. Daniel Gunther, revisions throughout the text, a revised reading list for further study, plus Crowley's instructions on banishing from Liber O.